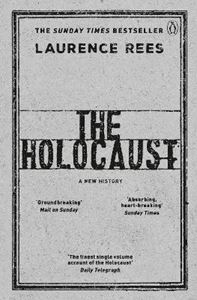 A SUNDAY TIMES TOP 10 BESTSELLERThe prize-winning bestselling historian delivers the first authoritative general account for thirty yearsThis book will answer two fundamental questions about the Holocaust. How, and why, did it happen?Laurence Rees's answer, based on the latest academic research and twenty-five years of exploring the subject, reveals three themes. First, it was not just about the Jews - the Nazis would have murdered many more non-Jews - and it was not just about Germans. Second, there was no single "decision" to start the Holocaust - there was a series of escalations, most often when the Nazi leadership interacted with their fanatical grassroots supporters. Third, it took longer than we might think for the world to recognize the importance of what happened - only in the mid-1970s did the word "Holocaust" enter the popular consciousness. Through a chronological narrative, featuring the latest historical research and compelling eyewitness testimony, this is the story of the worst crime in history.